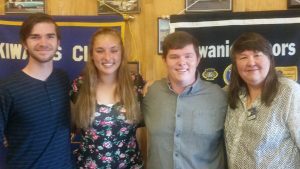 Our club meets every Wednesday with the exception of the third Wednesday of each month at the Woody’s Cafe, 3555 N. Main St., Kelseyville. 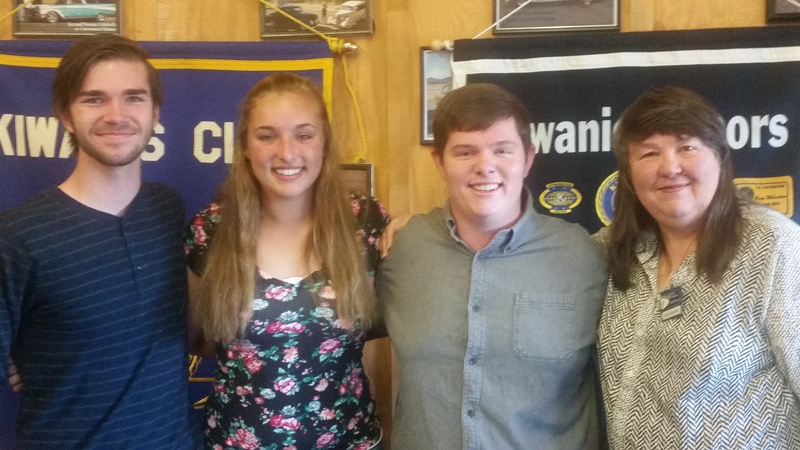 Ethan Jones, Rachel Wingler & Jarad Smith with Club Scholarship chairperson, Cherie Quartarolo. Meetings begin at 7:00 AM and last for one hour. 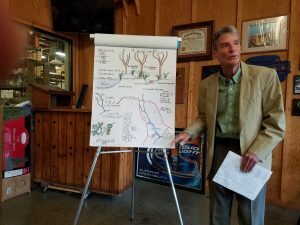 Dr. Harry Lyons discusses the Middle Creek Restoration Project.